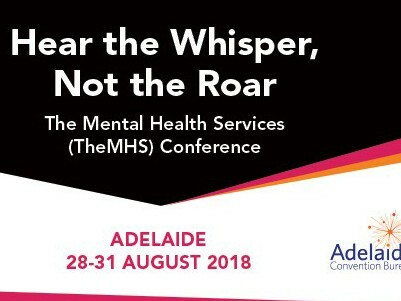 Last week saw mental health sector professionals, carers and consumers gather at the Adelaide Convention Centre for the Annual TheMHS Conference. This year’s theme was “Hear the Whisper: Not the Roar, Reform, Reflect and Review” and delegates heard about some of the latest and greatest research, programs, developments and findings in the mental health space. Neami had a strong presence at the conference and demonstrated our continuing support for innovation as a Gold Sponsor. Many delegates stopped by for a chat at our stall, prompted by our material presenting some of our key partnerships around the country, to learn more about the organisation. Several Neami staff presented papers to the conference, spoke on panels or gave presentations.